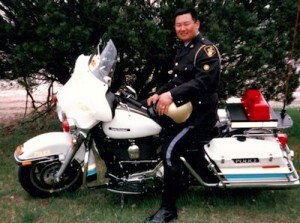 Eddie Cho Retired Police Officer worked with the Ontario Provincial Police in Mississauga and on Ontario’s 400 series highways as a Breathalyzer Technician, Accident Investigator, and Radar/Laser operator. Eddie has 20 years of experience with Mississauga traffic tickets and Peel Region Courts. As a well known advocate for his clients rights Eddie is the paralegal to fight your traffic ticket in Peel Region. Member of the Law Society of Upper Canada. Dear OTT Legal Mississauga Office I knew right from the beginning I stepped into the OTT Mississauga office that I made the best decision to fight my speeding ticket. The speeding ticket case successfully ended with the ticket being completely withdrawn. Mr. Eddie Cho was extremely confident yet kind, had expert insight and my meeting gave me valuable interaction. The office staff gave me the high standards of professional service from my first meeting and to the end of the trial. Dear Eddie Cho Just want to let you know that I got your letter advising that my two traffic ticket charges were dismissed and that my driver record is clear of these tickets. You won’t realize how relieved and thankful I am hearing this, you made my day and maybe my year! Thanks so much again for the very professional and caring way you handled my request…much appreciated, Stella J.Mississauga. OTT Legal Mississauga Thank you for representing me for my traffic ticket matter at the MississaugaProvincial Court. As you can appreciate, these traffic tickets caused me a great deal of anxiety, so it was quite a relief to receive your letter advising me that the charge had been successfully withdrawn. Thanks very much David M Mississauga. Eddie has 25 years of experience with Mississauga traffic tickets and the Mississauga Traffic Courts. Excellent service, Eddie is very knowledgeable , experienced & cooperative. Great staff. Highly recommended..! In reading past reviews here, I think it's safe to say that traffic tickets are super polarizing and can go either way. I was pulled over back in September for driving while using a mobile device, which didn't happen (my passenger dialed/held the phone, I never touched it). This was during one of the weekend stings, where a cop is in a tractor trailer and signals to another cop to pull people over.I was very frustrated by the ticket and live over 100 km from the courthouse so it didn't make sense to try to go to court myself. As everyone knows, always fight every ticket, the insurance implications just aren't worth it. I was referred to OTT by a friend and spoke with Eddie on the first call. He was very patient and helpful on the phone, and talked through the ticket with me. I asked him about the specifics of the law, and he effortlessly explained it as follows: You can't be holding a phone, in your hand while driving. Best to get a mount for the phone and at least you can maybe do some light actions (answering a call? ), but make sure it doesn't hinder your driving. Amazing how many people I still see on the road looking in their lap at traffic lights, I know exactly what's going on there, it's just not worth it.One thing he found interesting about this charge was that it involved two officers, meaning the one who wrote the ticket wasn't actually the witnessing officer, and that this might hurt the Crown's case. Also, he explained that the charges for this offence were going up in the new year, so things could have been worse if this happened later.I decided to go ahead with it, even though Eddie mentioned there are no guarantees on this kind of thing, but they'd do the best they can - OTT's fee was at least less than the ticket (set fine of $490, $1000+ as of this year). Around a week before the trial I received disclosure via e-mail from Eva, and she asked if I had any additional information to add to the case, which I didn't. Finally, the trial happened and I was informed by OTT that I was cleared of all charges as the Crown was unable to prove the case against me.I think most companies that deal with traffic tickets are in the same boat, as you never know how tenacious a prosecutor or judge is going to be. I have no doubt that Eddie and OTT represented me just about as well as anyone could have and were courteous and professional throughout the process. In reading past reviews here, I think it's safe to say that traffic tickets are super polarizing and can go either way. I was pulled over back in September for driving while using a mobile device, which didn't happen (my passenger dialed/held the phone, I never touched it). This was during one of the weekend stings, where a cop is in a tractor trailer and signals to another cop to pull people over.I was very frustrated by the ticket and live over 100 km from the courthouse so it didn't make sense to try to go to court myself. As everyone know, always fight every ticket, the insurance implications just aren't worth it. I was referred to OTT by a friend and spoke with Eddie on the first call. He was very patient and helpful on the phone, and talked through the ticket with me. I asked him about the specifics of the law, and he effortlessly explained it as follows: You can't be holding a phone, in your hand while driving. Best to get a mount for the phone and at least you can maybe do some light actions (answering a call? ), but make sure it doesn't hinder your driving. Amazing how many people I still see on the road looking in their lap at traffic lights, I know exactly what's going on there, it's just not worth it.One thing he found interesting about this charge was that it involved two officers, meaning the one who wrote the ticket wasn't actually the witnessing officer, and that this might hurt the Crown's case. Also, he explained that the charges for this offence were going up in the new year, so things could have been worse if this happened later.I decided to go ahead with it, even though Eddie mentioned there are no guarantees on this kind of thing, but they'd do the best they can - OTT's fee was at least less than the ticket (set fine of $490, $1000+ as of this year). Around a week before the trial I received disclosure via e-mail from Eva, and she asked if I had any additional information to add to the case, which I didn't. Finally, the trial happened and I was informed by OTT that I was cleared of all charges as the Crown was unable to prove the case against me.I think most companies that deal with traffic tickets are in the same boat, as you never know how tenacious a prosecutor or judge is going to be. I have no doubt that Eddie and OTT represented me just about as well as anyone could have and were courteous and professional throughout the process. Eddie Cho and his team provided excellent service, demonstrating professionalism and personal attention to all the details. They represented me in the Court and my Traffic Tickets that ran into few thousands $'s were withdrawn as the Crown was unable to prove the case against me. I was almost ready to pay the Big Fine but then I contacted a few legal services and I am glad I have chosen OTT Legal Services. I am very grateful for their excellent job and would strongly recommend Eddie and his team, to anyone who values transparency, integrity, and reliability. They are the best in the Town Period! We are really impressed by their job. They are amazing in handling the traffic tickets. They have excellent customer service. I will definitely recommend them to my friends and family. This was my very first traffic ticket and was scared to death , but made the right decision calling OTT. They also handled my husband's ticket. They are the best. I had a traffic ticket which I was very, very close to pay for. After I asked some other's opinions everybody asked me to go to a legal representative and ask for help. This is how I got to OTT which has good reviews! Eddie took my case and in the end the charges were dropped as the crown was unable to get enough evidence to build the case report (full disclosure).So Thank You Again Eddie and all the team! Amazing representation. Got my speeding ticket of 70km/h in a 40km/h school zone completely dismissed. All I had to do was pay them a visit, and they handled the rest. I was informed about the results of my case on the day of, via email. Very convenient and excellent services. Eddie won my careless driving charge today and got it dropped!! I've had a great experience dealing with Eddie and the staff at OTT Legal. They are professional, courteous and really care about their clients. I have recommended Eddie's services to many and he has never let us down. Please reach out to OTT Legal for fast and professional service. 5 stars for OTT Legal. Thanks Eddie!!! I contacted OTT after my car accident in February. I trusted them and they delivered. My charges were all dropped and my driving record remained clean. Very positive experience and would come to them again if needed. Definitely recommend them! I got a speeding ticket in school zone in September last year. I went for early resolution but did not come to a settlement cause I was getting three demerit points and the fine was about 400 bucks. Based on the reviews, made a visit to OTT legal and spoke with Eddie. From the beginning, he was honest and told me that I should have accepted the deal with the prosecutor during the early resolution meeting but he would try his best to bring the case in our favour. Just got an email from him Today that the case has been dismissed. Could not be happier. I definitely recommend giving a visit to Eddie at OTT legal for traffic and criminal charges. Eddie provided very professional legal services, well worth the every penny. You will be looked after and can set your mind at ease that you are being well represented. These guys are great. We have used their services since 2005 and have never let us down. They fought my most recent ticket even though I approached them literally 4 days before my court date. The results were beyond my expectations. Thanks guys. I got a speeding ticket back in December 2017 and I was extremely anxious and worried. I was pulled over for going 139 on the highway (4 demerit points and a fine of over $250) and after weeks of searching different places, I was recommended OTT Legal Services from a friend. I went in for a free consultation and Eddie made it clear that there is no guarantee that the ticket would be dropped but he would try his best. And he did. My court date was yesterday May 3rd, and I received great news today that the case was dropped, so no points or fine! I am extremely satisfied with the service I received from Eddie, and the front desk receptionist, Eva. If you're looking for someone to take the weight off your shoulders, don't hesitate to call Eddie. Absolutely amazing. My Sincere thanks to Eddie Cho & Team for taking up my speeding ticket . When I got my speeding ticket I was so tensed , I shopped around to get the best Traffic Ticket team, after doing lot of homework i found OTT Legal . I read about Edie Cho and his years of experience as a police officer and also a Para Legal. I was convinced that he is the best person to take up my case, without doubt I went and met him, initially was so tensed because this was something unexpected. After speaking to Eddie I was convinced that my case will be handled professionally. Today I'm so happy when Eddie informed me that my ticket has been dismissed. Im relieved of great stress & burden I was carrying for the last 4 months. I got the best result today and will highly recommend Eddie Cho & team-OTT Legal for any of your Traffic tickets. Hats off team. Thanks Eddie. Eddie handled my case professionally! My ticket was dismissed with no record and no fine. I left my case for him to handle without worries as I knew he would do his best to fight the ticket for me, I trusted his promise! Thank You Eddie! Best in the business. If they can take your traffic tickets away, I don’t believe anyone can. Affordable price and excellent paralegals. Once you go to them, you feel like you’ve lost 50 lbs of stress. I got my first ticket for unable to stop for emergency vehicle as my freind suggest me go for trail which i did but unfortunately police officer came too but i was lucky as court time finished and judge gave me next date i checked with lot of traffic ticket lawers but not satisfied to discuss my case other than Eddie., Eddie told me what he is preparing to do to get best result. At the end, I got the best result on my ticket and cleared with charges. Hats off for great work.I would recommend Eddie for best services.Thank you Eddie. Eddie represented me on my second charge of driving under suspension. I highly recommend Eddie Chong's services because he got my charge completely dismissed. For my first driving under suspension charge I used "not guilty plea" and they did not get that charge dismissed (my first driving under suspension offence). Eddie kept in touch through out the entire process. I highly recommend OTT Legal Services. Thanks Eddie! My friend referred me to Eddie, for my traffic ticket and he's done an excellent job.reduced the demerit points from 3 to 0Very professional, Highly recommended! I was in a car accident a few months ago, the officer placed me at fault for Careless Driving. I didn't agree with this charge so I looked into multiple different legal services who could represent me in court. I decided to trust in OTT Legal. I emailed Eddie often and he was always quick to reply. He informed me that the charges may not be dropped but they may be reduced. I was a little worried about what the outcome would be as this was my first offence. However, the day after the court date I recieved an e-mail from Eva telling me that all charges were dropped and my record is now cleared due to lack of evidence at the accident scene. I cannot express how grateful I am for their services and the outcome I have recieved. I highly recommend them to anyone fighting a traffic related offence, or anyone who needs help and feels like they cannot go through this alone. It is definitely worth it! My friend referred me to Eddie about my traffic ticket charge. He is very helpful, professional and patient. He is responsive to my emails and phone calls. My charge was dismissed, and his office also sent me an E-mail confirmation. Their service is greatly appreciated. So I got my first speeding ticket, it had R code, reduced from 85 to 65 on 50Km. I visited OTT, I met Eddie and he looked at the ticket and suggested I pay the ticket since it was a minor one. Since they dont charge any consulting fees, I think it was worth meeting him and get expert advise before making decision. He was answering all my questions. I would recommend Eddie. I still have a question though. Does this go into driver’s abstract/record ? I think Its worth paying the fees. I have been using Eddie for several years now and always have great results. He is experienced and knows exactly what to do when it comes to dealing with tickets in court. He is prompt, courteous and looks out for his clients. His prices are great considering you do not have to miss a day (or several) to deal with the ticket. Thanks for all that you do. When I got the careless driving ticket and was in dilemma to avail legal services or not, talking with lot of people created big confusion. Finally signed with OTT Legal services and got rid of careless driving ticket and the charge been withdrawn completely and no penalty too. I have clean record now.Beside that OTT been very professional and been patience answering all my questions and responding on time all the time.Appreciate and Thanks again OTT. Sincerely thanks for the excellent service Eddie Cho provide for me, expertise, patience, diligent and conscientious. He has been a tremendous support in my case and have been the epitome of professionalism. He attention to detail, his vast knowledge and he client centered approach each contribute to a superior experience. I appreciate all that he has done for me. I will definitely recommend he and his office in the future without hesitation. I had wonderful experiences with OTT legal services. The day I went to consult my ticket was pretty late, it was about 15 mins before they close. There was only Eddie in the office, he took his time understand my situation and gave me recommendations. Unlike other companies that tells you what is their success rate, Eddie told me what he is preparing to do to get best result. At the end, I got the best result on my ticket.I would recommend Eddie and his company, it is a trustworthy service. I've hired Mr. Eddie Cho from OTT Legal Services 7900 Hurontario St Brampton, for my traffic ticket and he's done an excellent job providing me with the best results I could get. Works well, fast and efficiently at a reasonable cost. Would definitely recommend him to anyone looking to take a traffic ticket to court. Mr Eddie Cho from OTT Legal Services 7900 Hurontario St. has been quite professional and effective in the way he has managed my Speeding in School Zone Case. When driving so much in every direction in the city, I really need a reliable Paralegal that I can trust in case of a situation like this. Mr Eddie has been that person and I hope we can achieve a similar resolution with the other pending case. Mr Eddie's presence reflects his effectiveness at what he does. I hope you many customers.